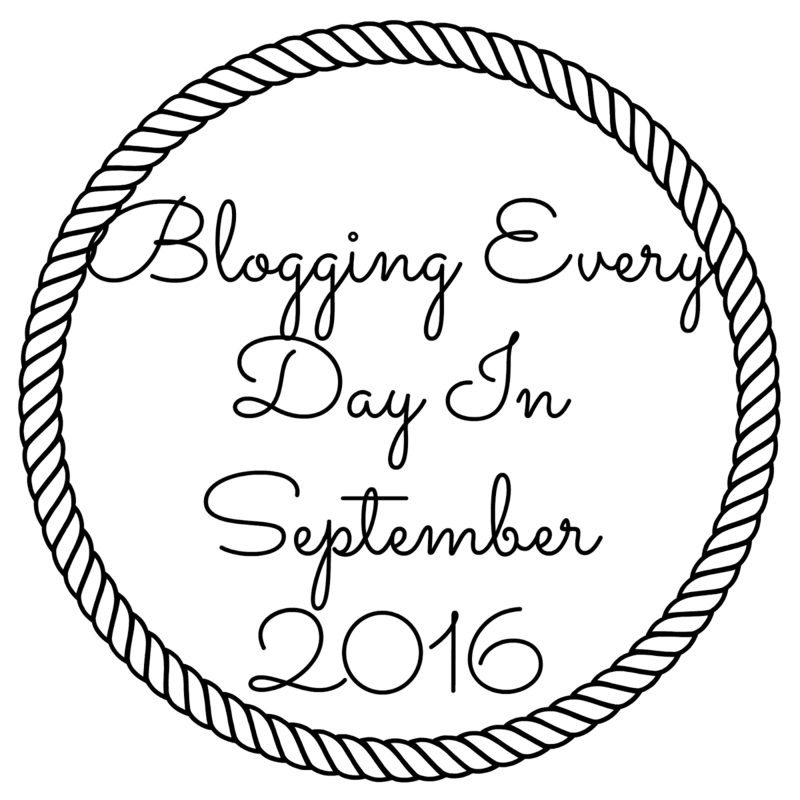 Hello and welcome back to Blogging Every Day. Today we might be talking about my one true love. Paper, pens, stickers, washi tape. These are a few of my favourite things. If you've been follow me on social media for almost 2 year I've been searching for a planner / diary that works for me. 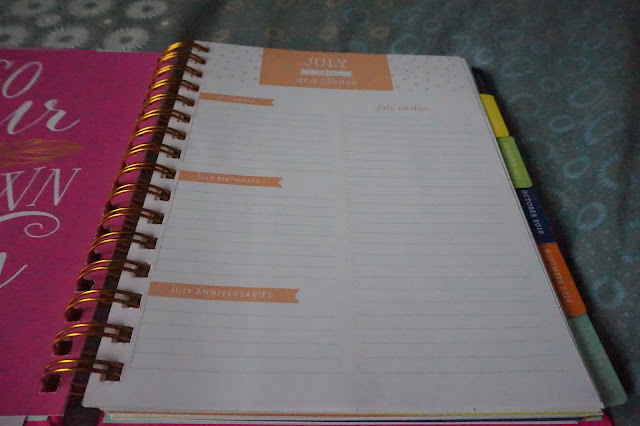 I wanted a month overview at the start of each month, ideally with page per day inbetween but I've not been able to find anything like it that isn't a million dollars, plus P&P not mentioning customs and a kidney. 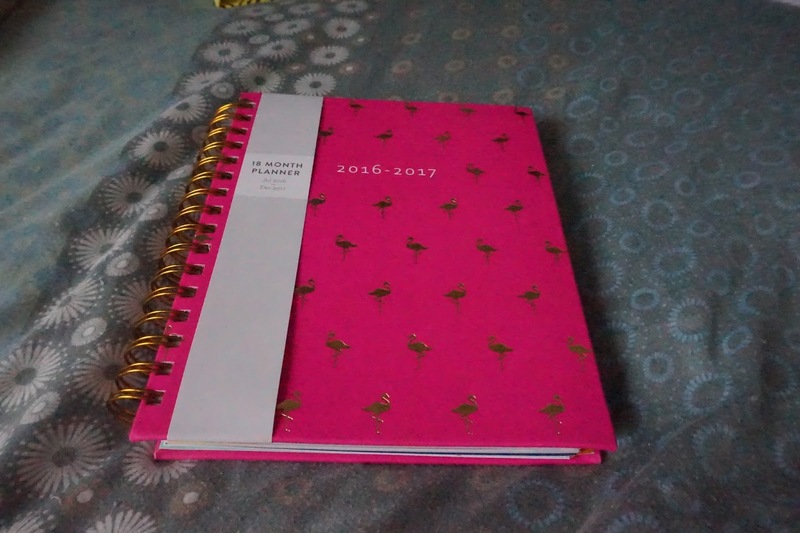 I've tried a filofax system a couple of traditional diaries, a personal planner which was close but no cigar. 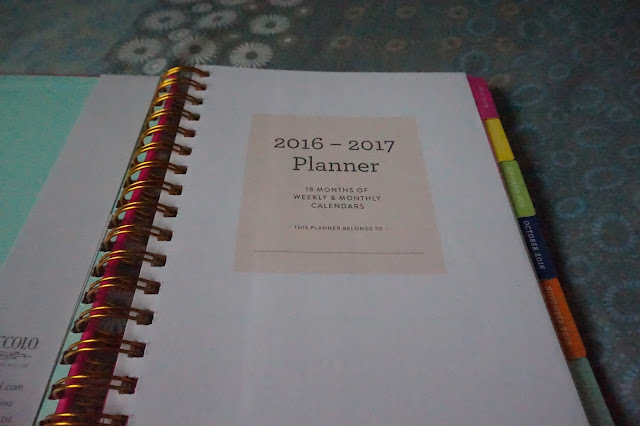 I'm currently using a Stick to Stigu planner which was in the goodie bag from Blog On in May and that is good. Really good but it isn't pretty. I get annoyed that there is sometimes a drawing in a box I want to use as I have a set system, I love the space but it just isn't quite right. 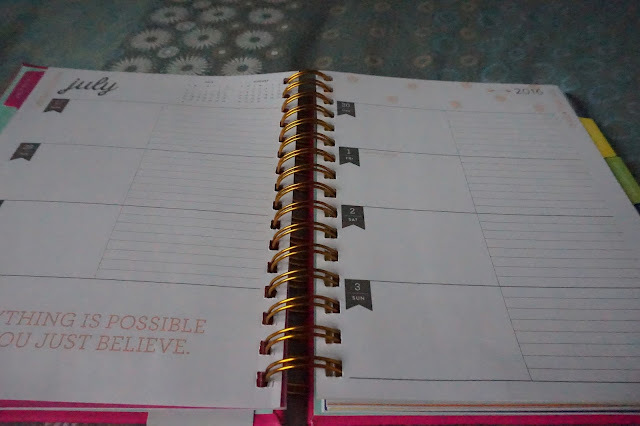 I keep looking at Happy Planners and the Erin Condron Life Planner but they are just not easily accessible and what if I spend all that money and I just don't love it? A casual browse in TK Maxx led me to this planner by the brand Éccollo and has a similar set up from what I can tell to the other more expensive planners. I guess I should mention the price, a grand total of £9.99. 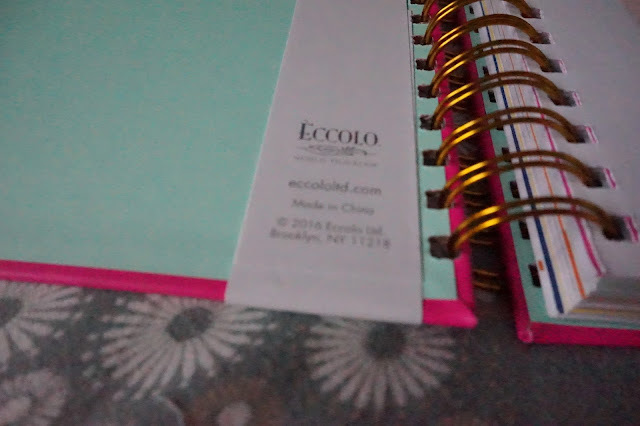 It retails in TJ Maxx in the US for $9.99 which is a bit annoying but at least there was no P&P or customs charges. The front page has space for your name and not much else but I thought it was worth showing. The next two pages have a 2016 and 2017 over view (small calendar boxes) followed by a notes page before the first divider. 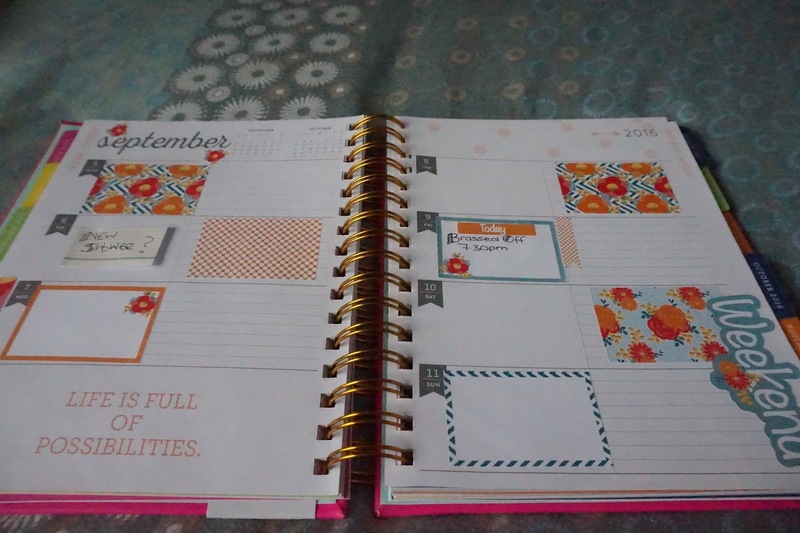 Each month follows the same format and colour scheme, I love the peachy orange but part of me wishes there were either a range of colours or it was more neutral to allow for decoration but for the price I'm content. The next two pages are the month at a glance which is nice and plain, lots of space for decoration and a small notes column. 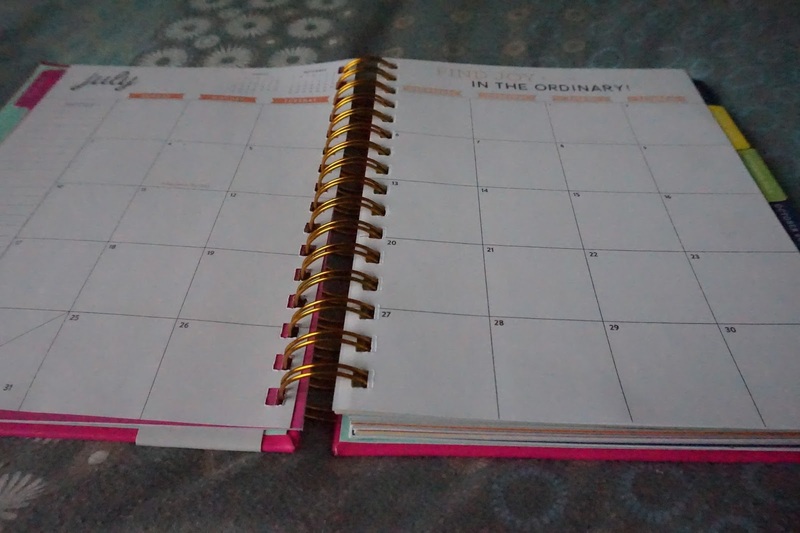 The last page of each month is a notes page which is handy and at least doesn't leave a blank page. 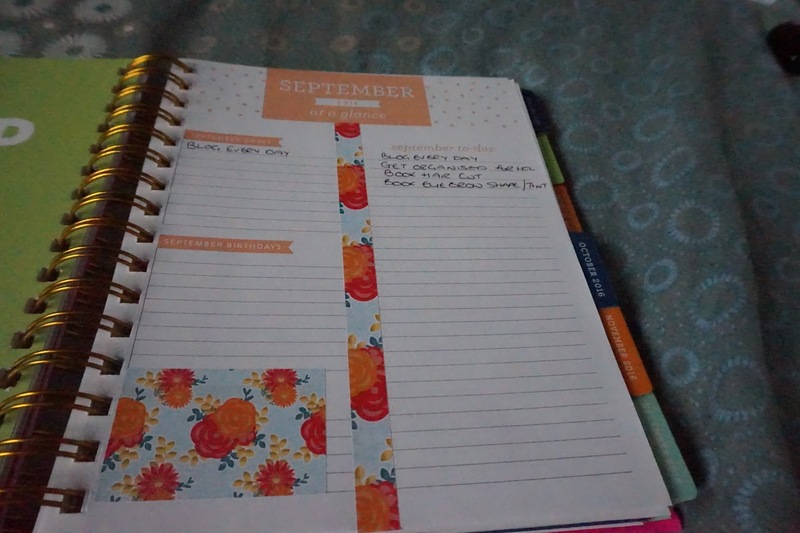 I have added more washi tape but I love how well this kit works with the planner. 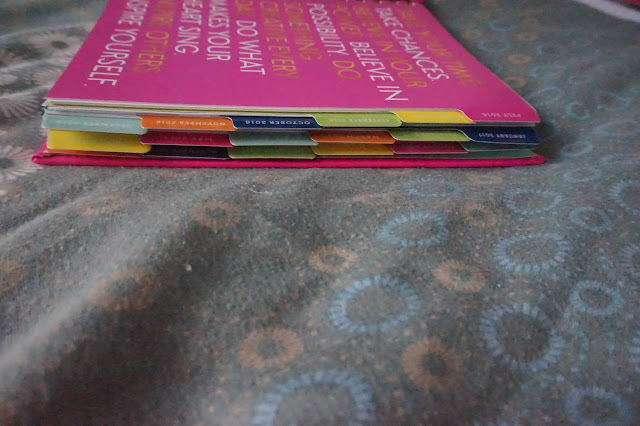 I might have also used the money I saved on the planner on stickers from Etsy. I can't wait till they all arrive, but in the mean time I have one other sticker set and enough washi tape to stock my own craft store to use! 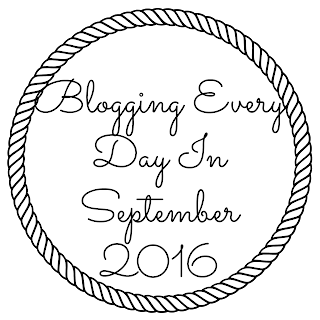 Are you a planner? Talk to me about it. 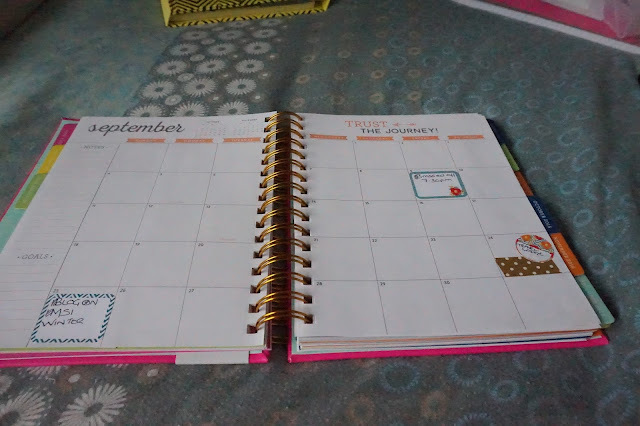 I love reading, watching and everything planner related.